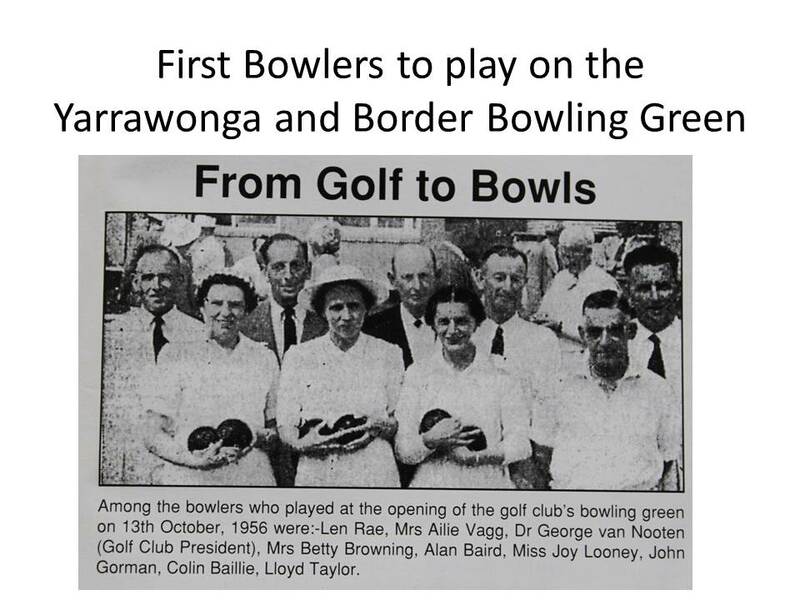 In 1954 at a meeting of the Yarrawonga & Border Golf Club, a decision was made to construct a bowling green to provide members with a facility enabling them to play an alterative game in the summer months when the golf links were closed. 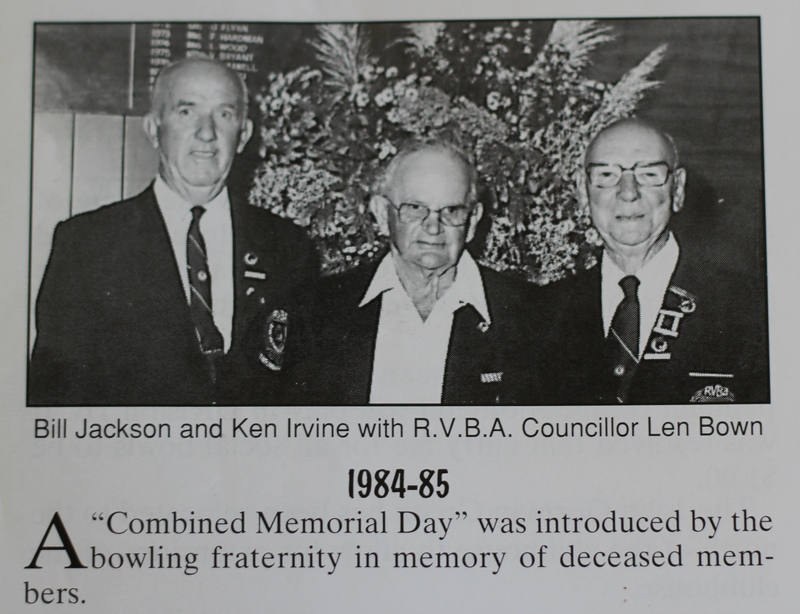 Guidance was sought from Mr. Lowe the Royal Victorian Bowls Association Greens Director at the time, and construction commenced with a group of interested club members providing most of the labour for the project. The inaugural meeting of the Bowls Section chaired by Golf Club President Dr. George van Nooten was held on the 19th August 1956. 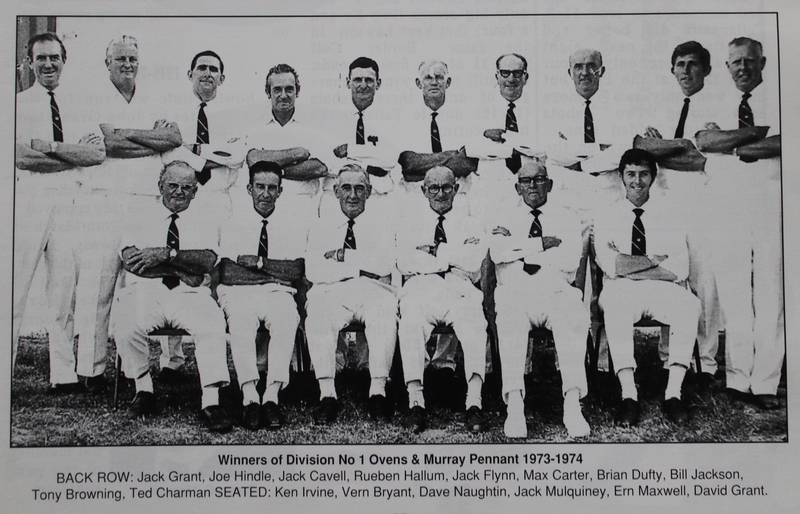 The first Committee of Messrs. Colin Baillie, Alan Baird, John Gorman, Ern Maxwell, Len Rae and Lloyd Tayler was elected and it was decided that the Club would join the Ovens and Murray Bowling Association. Mr Lloyd Taylor was appointed Greens Director. 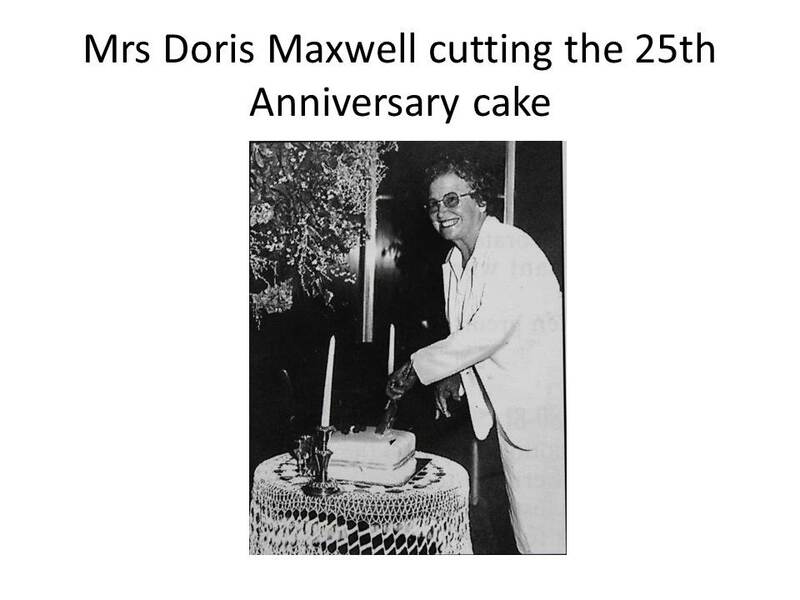 Until 1959 the Club President presided at all meetings. 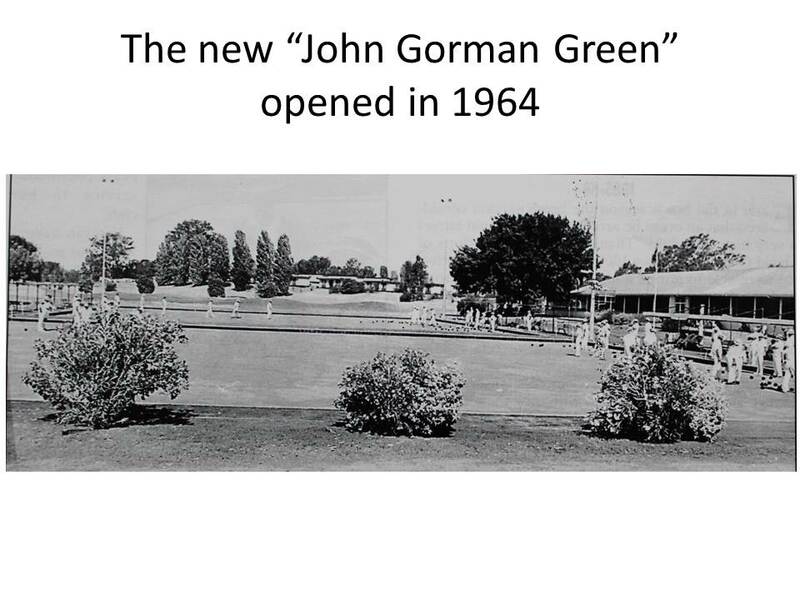 The bowling green, later in 1964 to be named the “John Gorman Green” in recognition of John’s great contribution to the Bowls Club, was officially opened by Golf Club President Dr. George van Nooten on 13th October 1956. 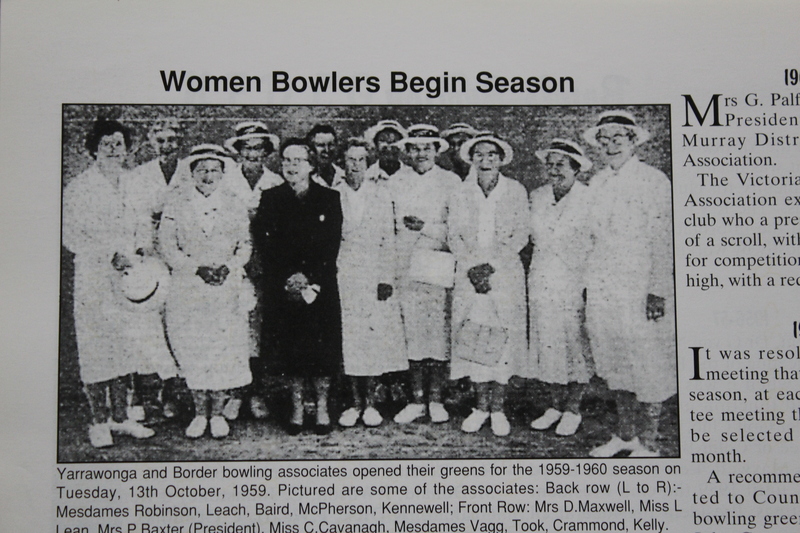 The Associates held their opening day on the 16th October 1956 and at a meeting convened by Golf Club Associates President Mrs. Gwen Palframan (formerly Miller) on 21st October 1956 a Bowling Associates sub committee was formed. 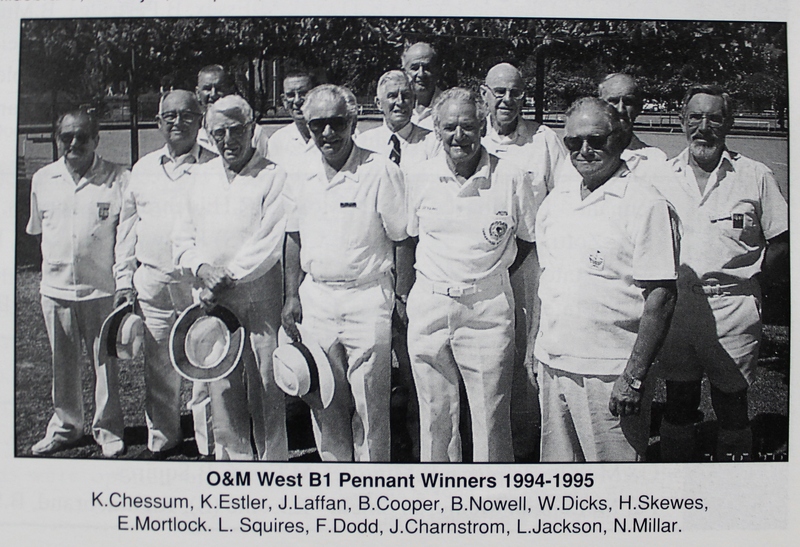 At a Committee Meeting in March 1959 a decision was made to enter a Yarrawonga and Border Golf Club Bowls team for the 1959-1960 Ovens and Murray Pennant season. 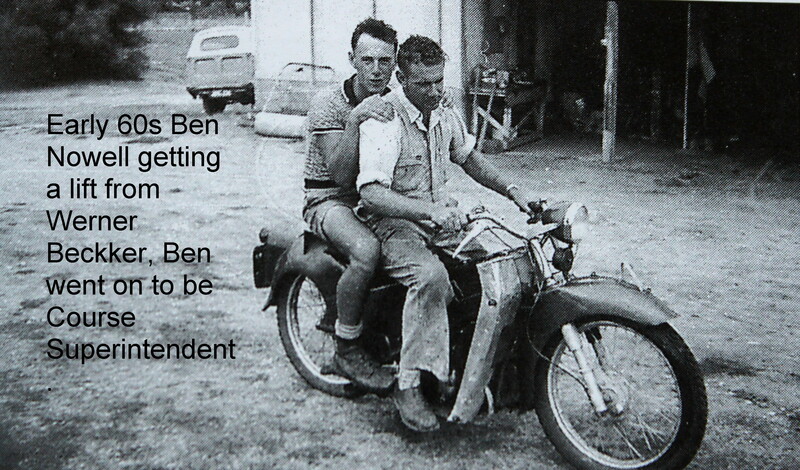 In 1960 a second bent grass green was constructed by Greenkeeper Reg West and ground staff. 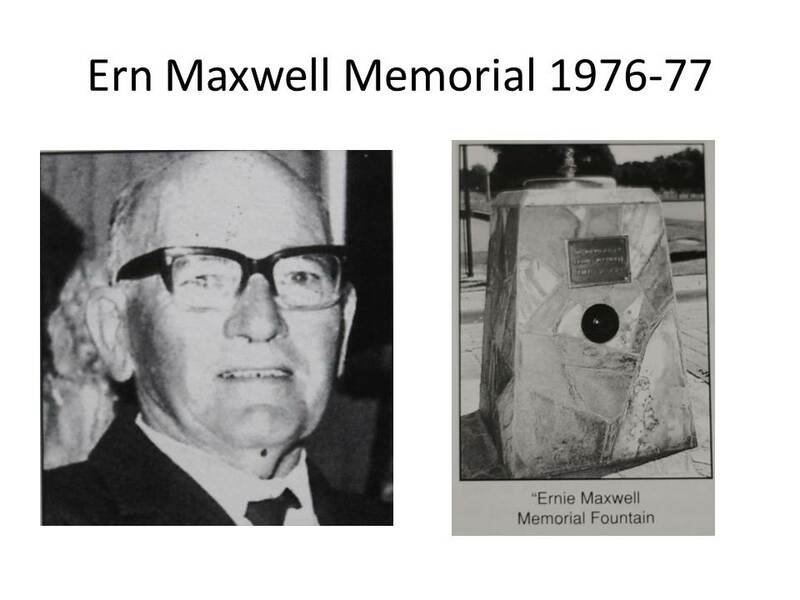 This green opened for play the following year and was later in 1964 named the “George van Nooten Green” in recognition of Dr. George van Nooten’s service to bowls as President of the Golf Club when the Bowls Section was first formed and later Greens Director for some years. 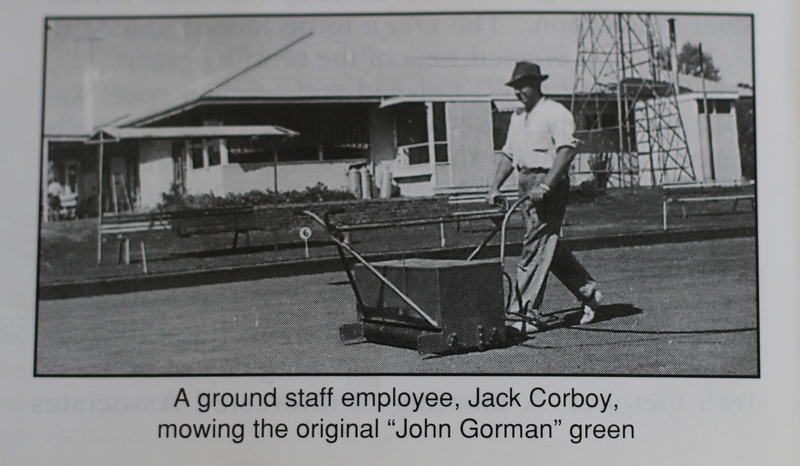 In 1979-80 the “George van Nooten Green” was converted to tift dwarf couch grass as was the “John Gorman Green” when relocated to it’s present position to allow for extensions to the club house. 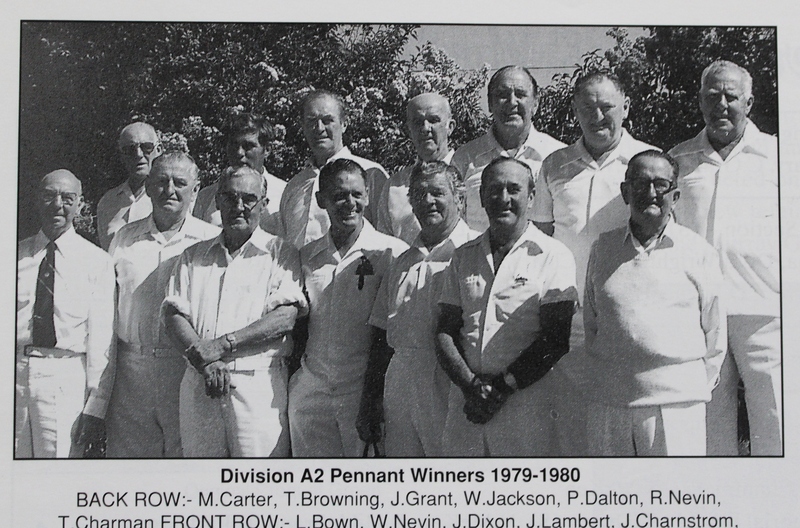 From 1956-63 all meeting of the Bowling Associates were presided over by the Golf Club Associates President. 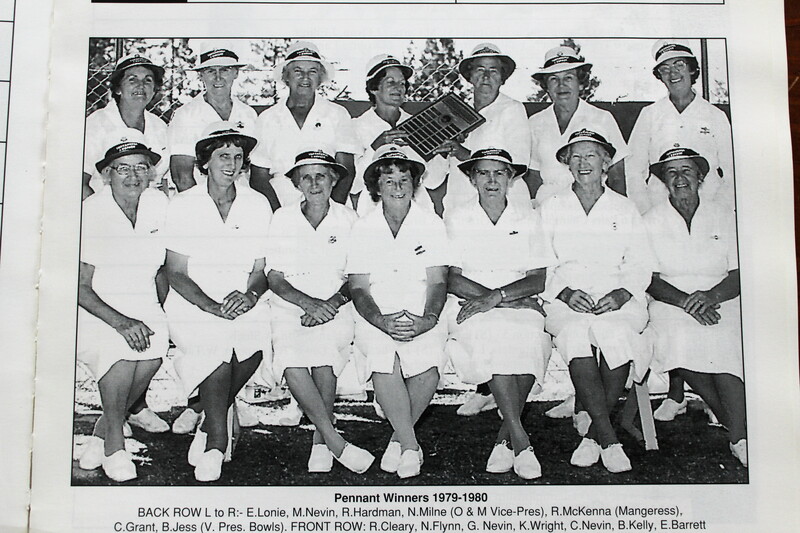 Thereafter the Bowling Associates Vice President presided over all bowling club meetings and functions until in 1986 the Board of Directors of the Yarrawonga and Border Golf Club decided to allow lady bowlers to operate independently under their own President and Committee. 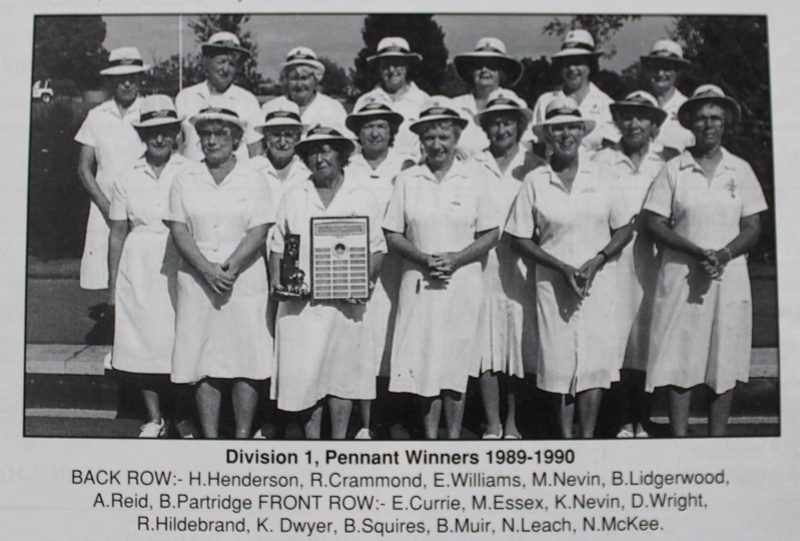 The Ladies’ Bowls Section for the first time in 1969-70 entered a team in the Ovens and Murray district Ladies Bowls Association Pennant Competition. 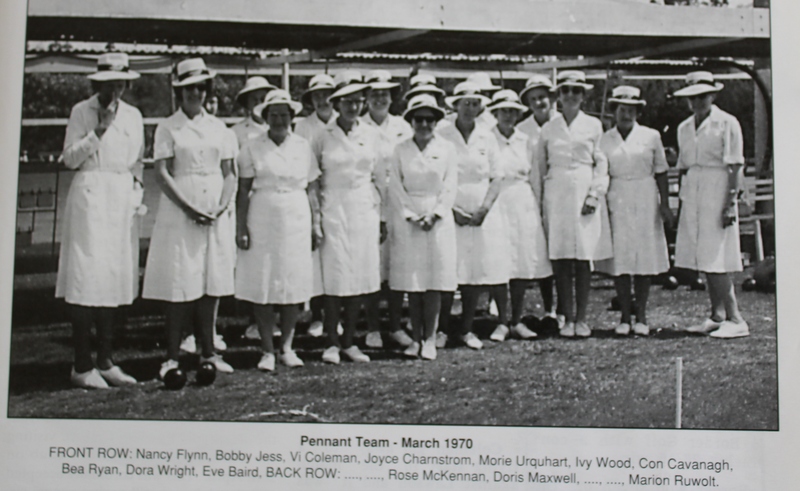 On the 23rd March 2015 at a combined Special General Meeting of the Men’s Bowls Section and the Ladies’ Bowls Section members voted in favour of unification and new by-laws were adopted.